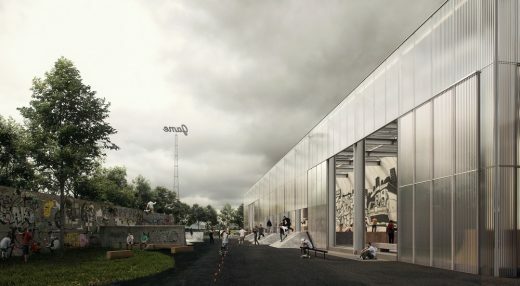 EFFEKT was today announced winners of the competition for a new Streetmekka in Viborg, DK. 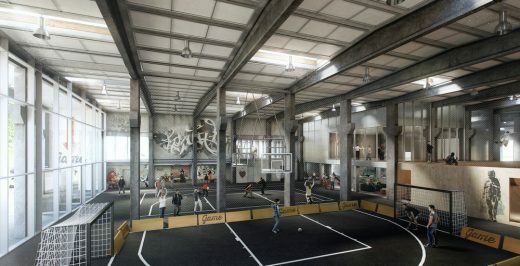 The winning proposal is a new cultural center including facilities for a variety of self-organized sports like parkour, skate, bouldering, basketball, trial, as well as a series of customized workshop areas for DJing and music production, an animation studio, fabrication lab and artist studios. Social spaces and designated hangout zones are strategically interwoven into the functional program and distributed throughout the building. The existing building originally served as a windmill factory and is a typical example of one of the many mass-produced warehouse or factory buildings from the late 1960’s and 70’s found in almost every suburban industrial zone in the western world. 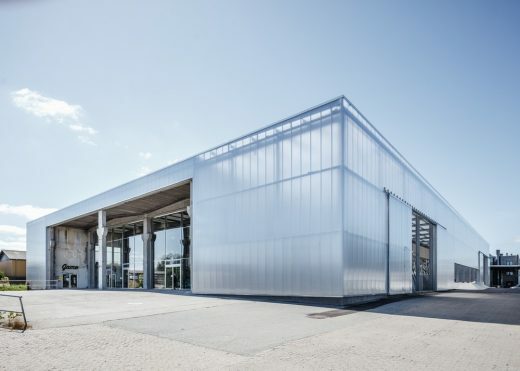 Typically constructed from prefabricated concrete panels or corrugated steel, these industrial leftovers are perceived as having little or negligible historic, cultural and architectural value. Therefore, the main question behind EFFEKT’s proposal was: how can we convert, re-use and re-program this type of insig¬nificant and mostly introverted building typology in a qualitative way? “However uninteresting and grey the exterior of these boxes appear, they often contain an impressive interior space of magnificent scale and almost cathedral-like proportions based on a repetitive, neatly arranged structural system. To us this vast space posed the only true value of the building – and we wanted to expose and highlight this to the outside world. We simply removed the facades at both ends of the building and positioned the new functions on both sides of the existing structure, leaving the internal production space intact. 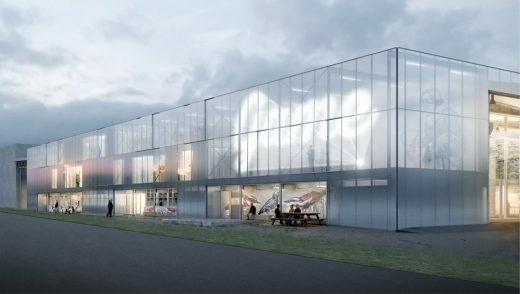 This clear and emphatic re-organization also equips the building with a completely new exterior and makes it possible to pull in more daylight through the two new glass façades while improving the connection to the exterior space” says Tue Foged, partner at EFFEKT. This approach may pave the way for the revitalization of many other disregarded buildings left to deteriorate around the country. 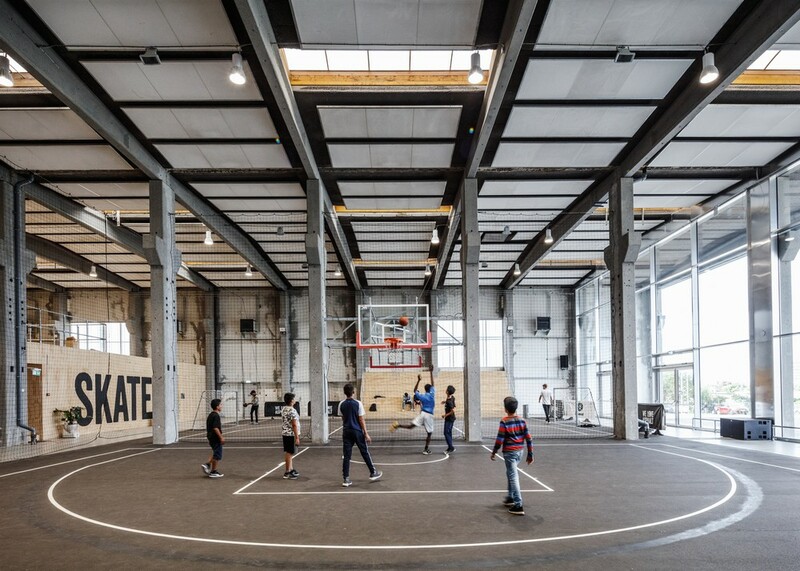 The functional goal of the new Streetmekka Viborg was to create a series of functional activity spaces for sports, cultural and social purposes arranged in a highly complex programmatic network. All aimed to serve the increasing demand for individualized and self-organized alternatives to the established club-sports and cultural activities, thereby supporting GAME’s mission to attract local youth and create lasting social change through street-sports and culture enabling, and empower them in their future lives. The new Streetmekka 2.0 is for everyone. It doesn’t matter if you want to participate, create, hang out or observe – there is a designated space for everything and everyone. The idea of expanding the original program to include so many different types of activity under the same roof is based on the notion that co-existence breeds new synergies and new social relations. Additionally, it exposes visitors to new types of activity they might never have realized existed, encouraging future engagement. The maker labs and workshop areas enable the users to continuously develop and reconfigure the facility. Streetmekka Viborg is not static in terms of program nor in physical appearance. 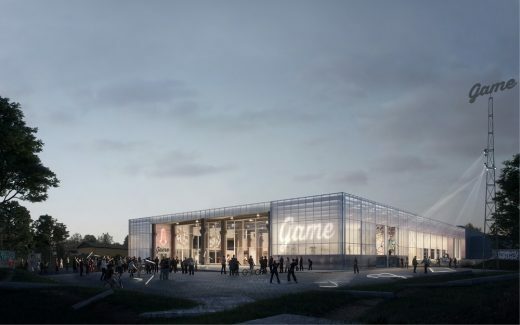 It will continue to evolve with the users – both short term (due to the animated facades and the streetart) as well as long term (when new programs are added and old ones removed). 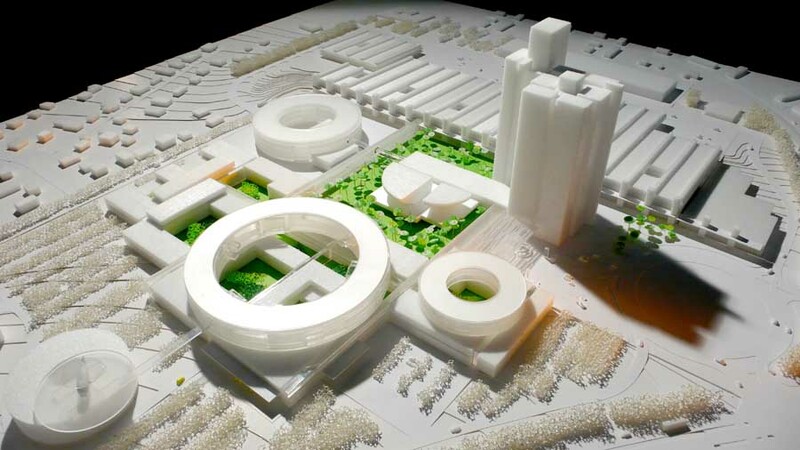 The architectural concept is based upon the idea of an indoor streetscape. The project opens up the introverted industrial building and transform the impressive central factory space into a new kind of interior space: a covered streetscape opening up to the outside. The new volume is wrapped with a functional translucent skin, giving the appearance of a light and welcoming building while also serving as a giant canvas for the local visual artists to display and project their art in a variety of ways. 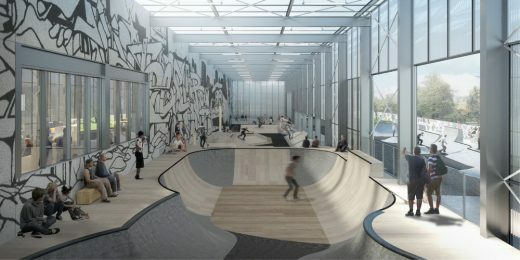 The surrounding landscape becomes the natural extension of the indoor surface with various street-sports and cultural functions placed in a recreational string of greenery connecting the site to the downtown area through a future pedestrian and bicycle path. EFFEKT is an architectural collaborative based in Copenhagen, Denmark operating in the fields of architecture, urbanism and research. The company was established in 2007 and currently employ 30 full time staff under the creative direction of the two partners Tue Hesselberg Foged and Sinus Lynge. 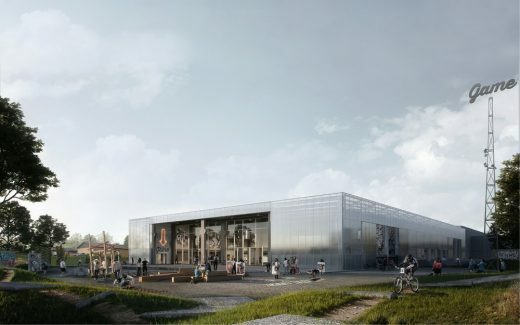 EFFEKT has in recent years distinguished themselves on both the national and international architecture scene through a number of prestigious and award-winning projects, such as Livsrum cancer counselling center, GAME Streetmekka, ReGen Villages as well as some of Denmark’s largest urban planning projects, Gellerup and Vinge.